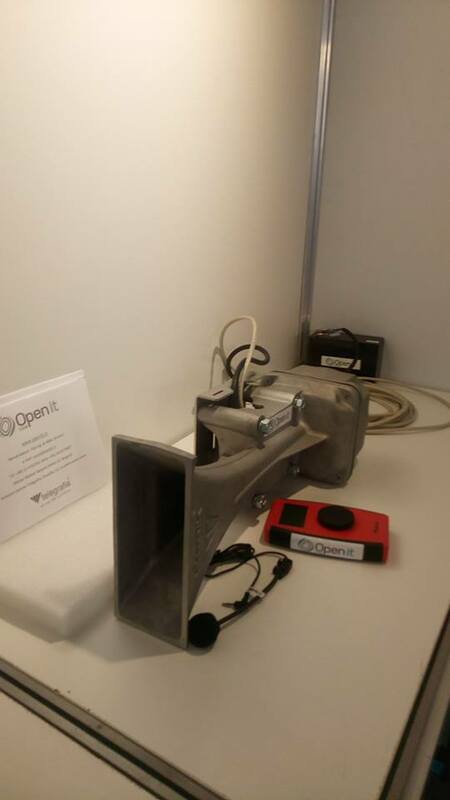 At the latest 112 Expo Fair, held in Belgrade, our long-term partner in Serbia, Nenad Sakovic with his company Open It, presented Telegrafia’s stand-alone Bono sirens. 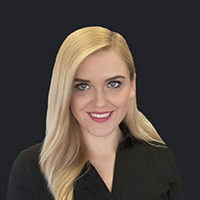 These sirens combine the benefits of the functionalities and the battery backup of more massive, sophisticated electronic sirens and the compact dimensions of small sirens. They can be used both in the exterior and interior, industrial areas and noisy production halls, open-pit mines, and in a variety of other applications. Thanks to their compact design, they can be mounted at the places where larger sirens will not fit or suit. Pre-recorded and live-voice messages can be broadcast, which makes the Bono sirens remarkably efficient for mass warning in urban and suburban areas in emergencies. 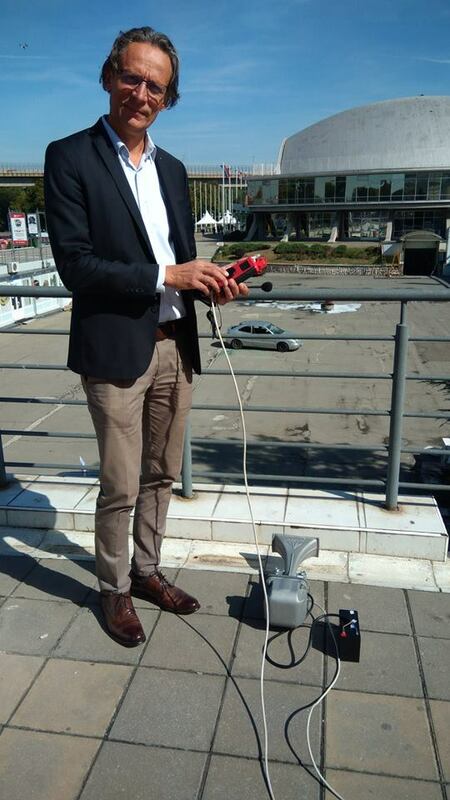 As can be seen in the picture, a demonstrative test of the siren was carried out at the exhibition, and the bystanders were astonished by its power. A specially-shaped horn made of aluminium alloy and stainless steel, in combination with a powerful 100 W pressure loudspeaker, ensures high-quality acoustic coverage of the desired area while maintaining its low weight and small size. Click here to find more information about this high-utility product. 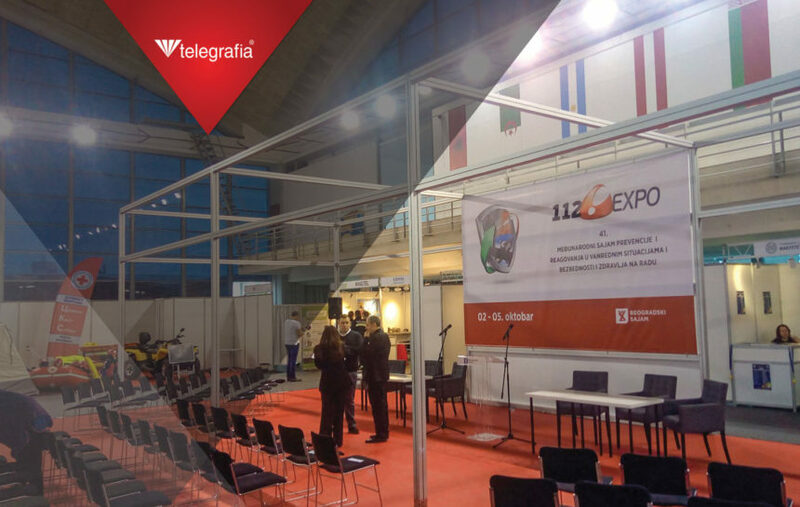 112 Expo – an exhibition on protection, security and safety – took place in Belgrade, Serbia, under the Beogradski Sajam management. 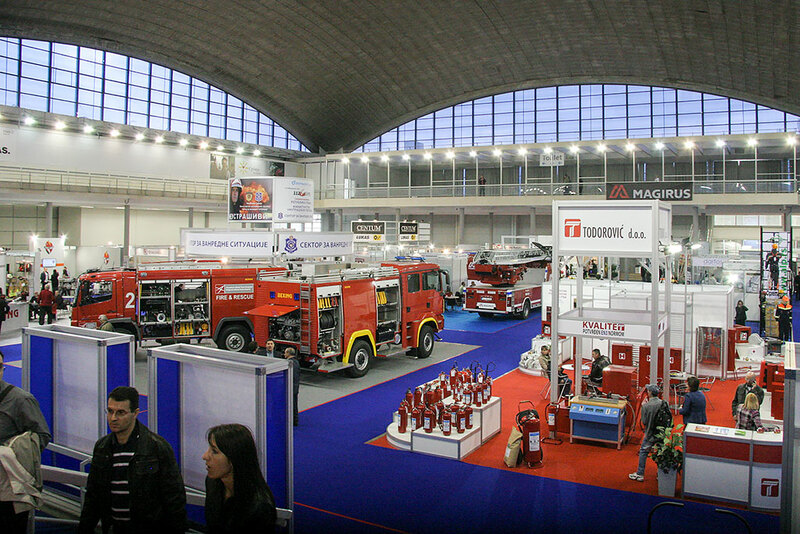 The history of the exhibition goes as back as to 1971, and every year it features a wide range of advanced technologies used for the prevention and management of emergencies. This event serves as a gathering platform for the most important local and global actors in the field, connecting thousands of professionals within the protection and security sector. 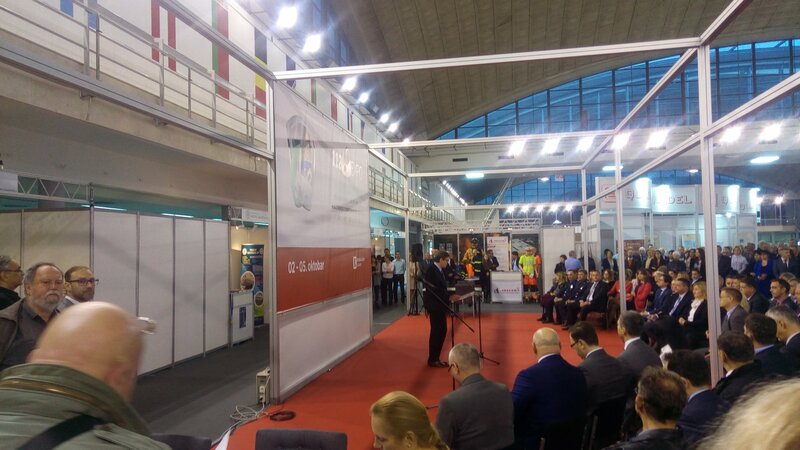 More than 150 exhibitors and company representatives were present at the exhibition this year, including our partner from Serbia, Open It. 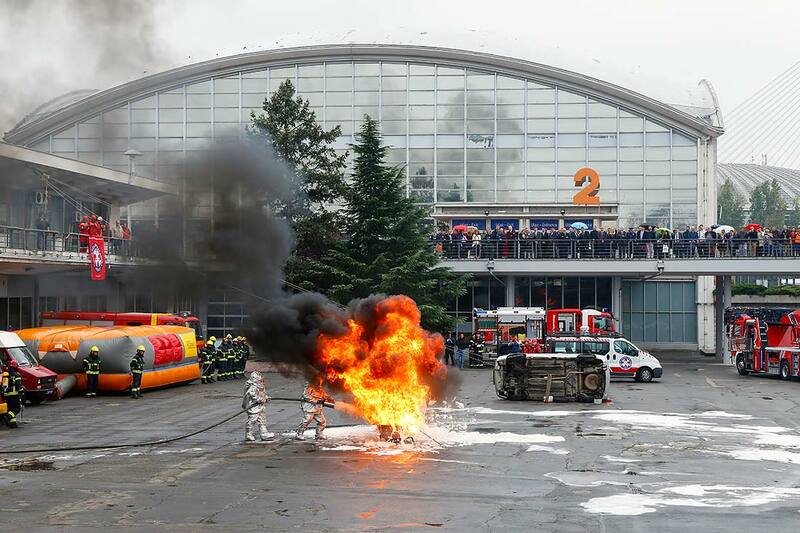 A wide range of cutting-edge technologies were exhibited at the fair; for example, equipment, tools and special vehicles for fire and rescue intervention and medical emergencies. New thermal video surveillance systems, systems for the prevention and protection of people and property against floods, earthquakes and chemical accidents were also presented. Preventative measures for the protection of manufacturing facilities, power plants, and gas and oil refineries were tackled as well as the security of high-risk public facilities such as chemical, the pharmaceutical industry, food industry, airports, ports, highways and public facilities. All business visitors had the opportunity to B2B face-to-face meetings and online B2B communication.